The Michigan dog bite attorneys at Krupp Law Offices PC represent victims of dog bite injuries and attacks and their families in cases throughout the State of Michigan. We represent a wide range of clients in these cases, including , children, postal workers, and utility workers. There are specific Michigan dog bite laws that apply to these cases. Owners and keepers of dogs in Michigan are strictly liable for dog bites and attacks. This means that the dog bite victim does not have to prove that the owner was negligent, only that he or she was bitten or attacked. Our Michigan dog bite attorneys get compensation for dog bite victims who suffer injuries and to their families who have lost a loved one due to a dog attack. We get the maximum settlements for our clients in cases throughout the entire State of Michigan. We help you win the highest settlement for your dog bite case. Our Michigan dog bite attorneys will represent you in your Michigan dog bite injury and attack case under a NO FEE PROMISE. You have absolutely no obligation for legal fees unless we win your case. If we do not obtain a settlement for you, you owe us nothing! If you or a family member suffered injuries in a dog bite attack, you should contact our Michigan dog bite attorneys immediately. We have obtained substantial compensation and settlements for victims of dog bite attacks. Tell us your story and we will get started on your case today. Call us now at 616-459-6636 to speak with one of our experienced Michigan dog bite attorneys about your case. 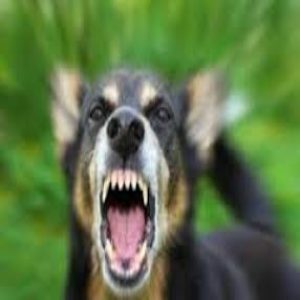 It is easy to get started with your dog bite claim. Just call or send us an email. We will review your claim over the phone and explain Michigan dog bite law to you. We will also review our contingency fee agreement with you which provides that we receive nothing unless you win your case. At that point we will schedule an appointment to meet you and review your case and answer any additional questions. It’s just that easy.